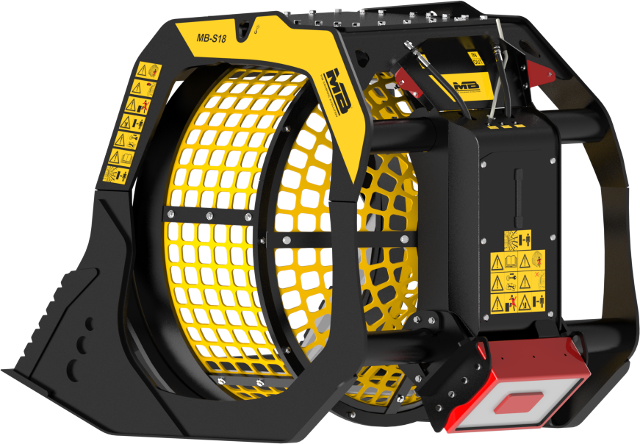 The historic model from the range of crusher buckets, the BF90.3, has been overhauled with a third series. Once again MB did not hold back on innovation and introduces a more compact, robust and productive crusher bucket that can be maintained quickly and easily. 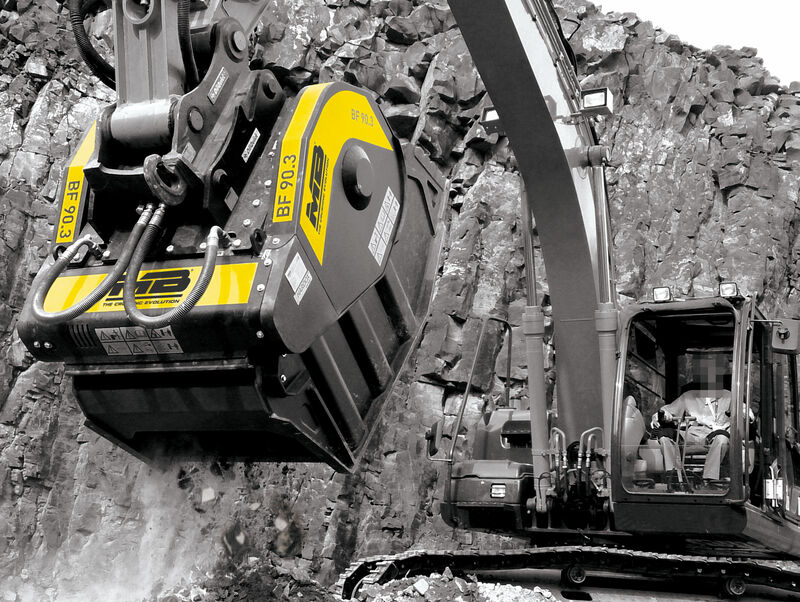 Suitable for excavators over 21 tons in weight, the BF 90.3 S3 crusher bucket is particularly suitable for recycling operations involving any type of inert material or demolition waste (road works – excavations – pipelines – ducts). Despite its size and reduced weight compared to larger models, the BF90.3 S3 achieves a production capacity of 41 m3 per hour. suitable for excavators between 20 and 35 tons, the renewed MB-S18 S3 model is now available with a nebulizer and iron separator, two accessories that increase versatility while allowing it to be used in inhabited areas thanks to the suppression of dust. Compared to its predecessor, the new MB-S18 S3 is more compact, balanced and easier to maintain. In 2001, MB became the first company to conceive the jaw crusher bucket, for which it received international patents. Since the beginning the bucket crusher has offered revolutionary characteristics with fabrication at the highest standards in the market, for instance with the extensive use of Hardox inside. Once again, MB has confirmed its successes and continues to invest in research and development, focusing on the specialization of unique, high quality products offering superior performance. Competitive products that add value to the construction site, resulting in reduced operating costs and real savings, in terms of time and efficiency.